Trees Please is a project of Environment Hamilton and the Naturalists’ Club. 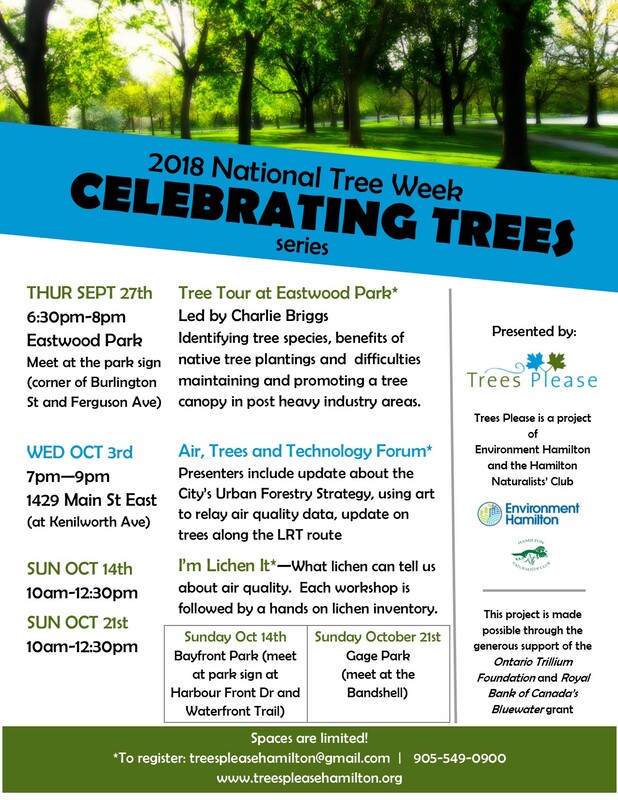 On September 27th, 2018, they will be kicking off 2018’s National Tree Week, Celebrating Trees Series at Eastwood Park. They will continue to host events stretching until the end of October, 2018. Please visit www.treesplease.org for more information.